Author and scientist, J.S. Fields, had an existing website that needed to be updated and made easier for her to maintain and add content to. We talked at length with J.S. Fields about her needs and style. We designed the new website in the WordPress platform and provided video tutorials for her to update and add content to the website. 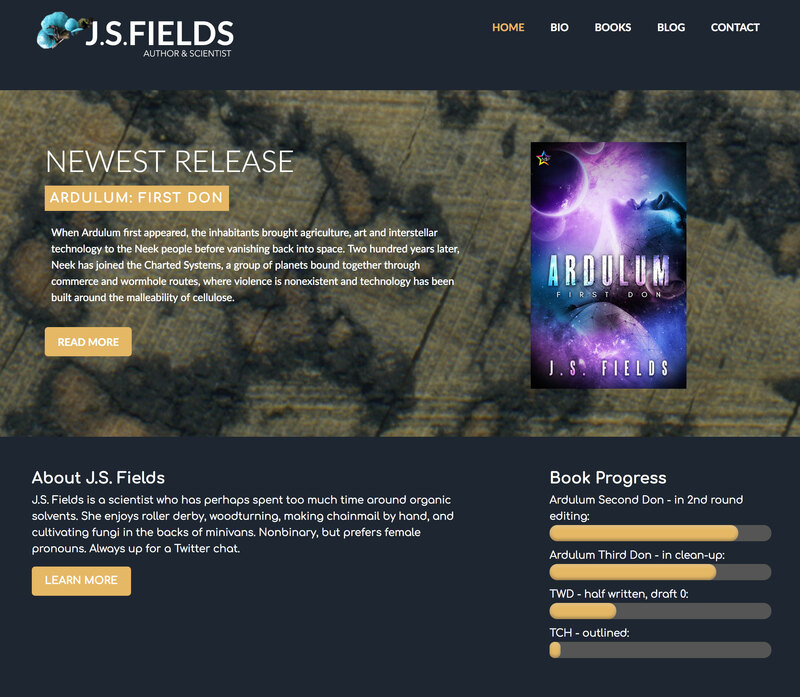 Customizations included the ‘book progress’ bars, the set up of a testimonials slider, and a custom post type for her books.